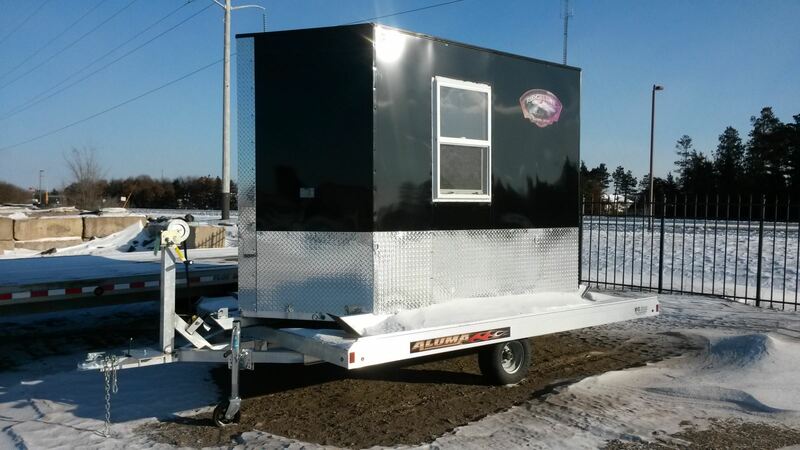 M&G Trailer has several options for mounting spare tires on both open and enclosed trailers, from tongue mounts, to interior wall mounts. Call today to find out what spare tire mount will work best for you at 763-316-4006. 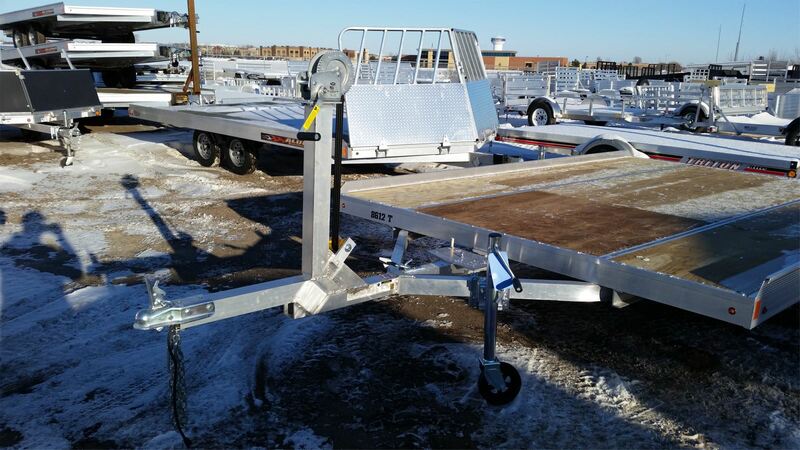 This spare tire mount is custom built in house at M&G Trailer and is designed to be a cost effective way for you to get your spare tire up off the floor to keep as much floor space open as possible. We have them built for both 5 and 6 bolt wheels to accommodate different backspacing. These mounts sell for $50 and include hardware for mounting. The Aluma Vertical mount is designed to bolt to the tongue, and holds the spare tire vertically. Adjustable stud plate is adjustable so the tire can rest on the bottom plate of the carrier. The Vertical Mount sells for $89 and comes with all necessary hardware for mounting. The Aluma Flat mount is designed to bolt to the tongue, and holds the spare tire horizontally. The Flat Mount sells for $89 and comes with all necessary hardware for mounting. 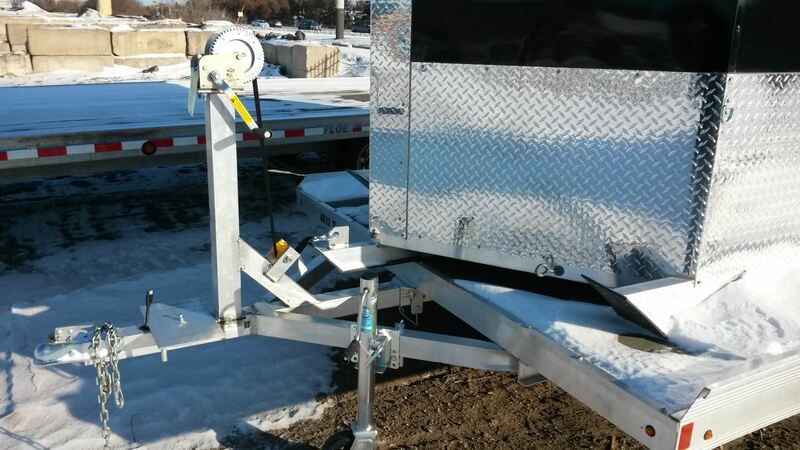 The Aluma Salt Shield mount is designed to hang from the salt shield of drive off snowmobile trailers. This mount holds the spare tire parallel to the shield and when mounted correctly, doesn't interfere with unloading. The Salt Shield Mount sells for $89 and comes with all necessary hardware for mounting. The Floe Versa Lock spare tire carrier utilizes a high interior mount to keep the tire clear during loading and unloading while keeping the wheel and tire inside and out of the elements. This mount can be used with. The Versa Lock spare tire carrier is $65, not including the spare wheel and tire. This lock is to be used on spare tires, when hung on a spare tire mount to keep spare tires from being stolen. This lock sells for $18.95 and comes with two keys.